Syria’s foreign minister vowed Wednesday to present “an unprecedented example of democracy” in the country within three months, an extraordinary promise in a nation facing an uprising against an authoritarian system in place for decades. 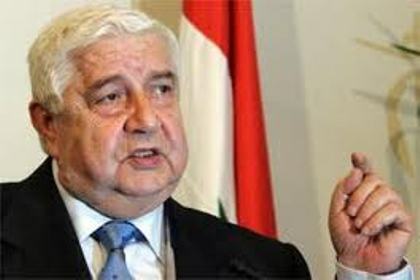 Speaking during a televised news conference, Foreign Minister Walid Moallem’s comments were the latest attempt by the regime to blunt three months of widespread street protests against President Bashar Assad’s autocratic rule. The news conference appeared designed to portray regime confidence and to cast doubt on the opposition at a time when Assad is coming under increased attack at home and abroad. Moallem lashed out at the government’s critics, particularly Europe, which imposed sanctions on Assad and members of the leadership over its deadly crackdown on protesters. The opposition estimates more than 1,400 Syrians have been killed and 10,000 detained as Damascus unleashed military and other security forces to crush the protest movement, which sprang to life in March inspired by the revolutions in Tunisia and Egypt. The U.S. also has imposed sanctions, but the European move was a personal blow to Assad, who studied in Britain and made a high priority of efforts to bring Syria back into the global mainstream. He also denied that Syrian allies Iran and Hezbollah are helping the regime put down unrest. The U.S. has accused Iran of sending reiforcements and equipment to Syria. “There is Iranian and Hezbollah political support for Syria to transcend this crisis and support for the reforms announced by President Bashar Assad,” he said. “But there is absolutely no military support on the ground.